It is very rare in modern world history that one nation's war is fought by another's army.This is exactly what the British did in first world war-using Indians which then comprised of present day's India, Pakistan,Bangladesh,Burma,Sri Lanka... Over 1.3 million(13 lakhs) Indians fought for their masters and served them without really knowing 'how and why' of the war.They were deployed in alien terrains,climate..in Iraq,Palestine,Egypt,Aden,Iran in Asia...in East and West Africa...in Russia,Belgium,France in Europe about 100 years back. 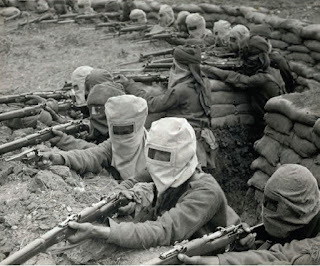 Primarily they might have enrolled for the unbelievably meager monthly salary of Rs 11 per month(16 US cents ) but proved to be most loyal and brave soldiers who were obviously deployed for some of the most difficult jobs on the war fronts- digging trenches,as dispatch riders and gunners, supports to cavalry regiments........ 74000 Indian soldiers died! Almost same number got wounded! Sadly they are forgotten now not only by the then masters but even by the present day Indians as well. 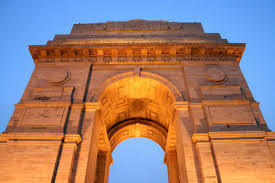 I am sure that most of the Indians today may not be knowing what to commemorate India Gate in Delhi was built!Now India is one of the largest military forces on this planet.At the same time more than anyone else I wish each Indian knows how we were just hundred years- just two generations- back and how we really started as a military force!! 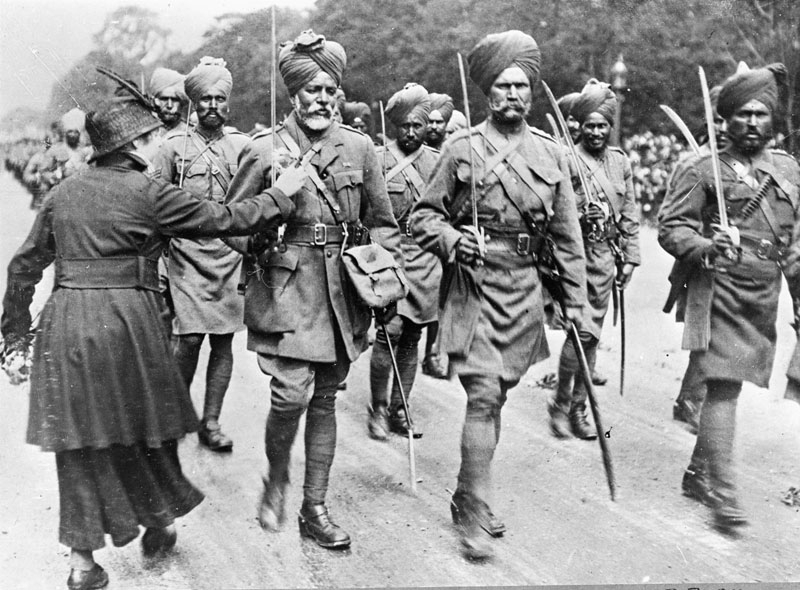 India was in a state of growing unrest politically when the world war I broke out.That was the time Indian leaders were after 'self Government' in their pursuit of freedom..British authorities sincerely feared that Indian separatist leaders would use that opportunity to side with Germany to attain their aim.But their fears were unfounded. Indian National Congress thought that it is to the best interest of India then to support the British.India rallied with the British expecting to be rewarded at the end of the war with a self Government. Unrest for freedom in India subsided and the British could move out their war equipment out of India.Princely states offered huge sums to the British.Some of the kings in India were the richest in the world then even richer than British monarchs!I remember that having seen royal palaces at Mysore and Jaipur, I was disappointed later when I got a chance to see Buckingham palace ! India had contributed million pounds to fund the war!! 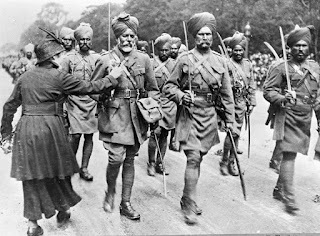 Indians enrolled in the British Army in thousands.British practically handpicked the soldiers-known as Sepoy- from regions known for their valor-Muslims,Hindus and Sikhs alike and paid them less than peanuts!Tens of thousands of them who were selected were moved to the war zones after a brief training during 1914-1919. This is what the French cheered as two divisions Indians named Lahore and Meerut arrived at Marseilles,France.Long live Hindus(Indians)! 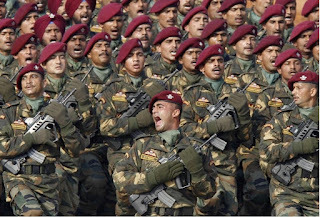 The Indian army was multi ethnic,multi lingual and multi faith.Indians had two initial handicaps.They were not used to the climate and they were not trained to use the machines they were forced to use.But soon they got over these short comings.Indian soldiers were dedicated and known for showing incredible persistence and loyalty to their masters wherever they were deployed - in digging trenches,as dispatch riders,gunners...all in the war fronts. When it comes to loyalty, I think even today Indians are known for it around the world.I have first hand information about this since I used to do business and closely interact with multi nationalities not only in Qatar but world over.When it comes to work culture of Indians-limited to present day India-it is far ahead to others in general!This is one of the reasons professional and technically qualified Indians are employed in US and Europe. Nevertheless I am not sure about this trait of those Indians working in India esp in my own state Kerala!! Indians fought for their masters in some of the the fieriest battles of world war I -at Givenchy,Ypres.....A lot of laurels including Victoria cross were presented to them for the services rendered.But India's contribution to the war was never recorded in global history .Hardly any memorials left for the Indian soldiers. Indians faced a lot of injustice there as well most of which present day Indians may not be aware of.The British ensured that hospitals which were treating wounded Indian soldiers were surrounded with barbed wire so that Indian sepoys cannot run away from the hospital! And worse- the most senior Indian officer remained inferior in rank to the junior most English officer! 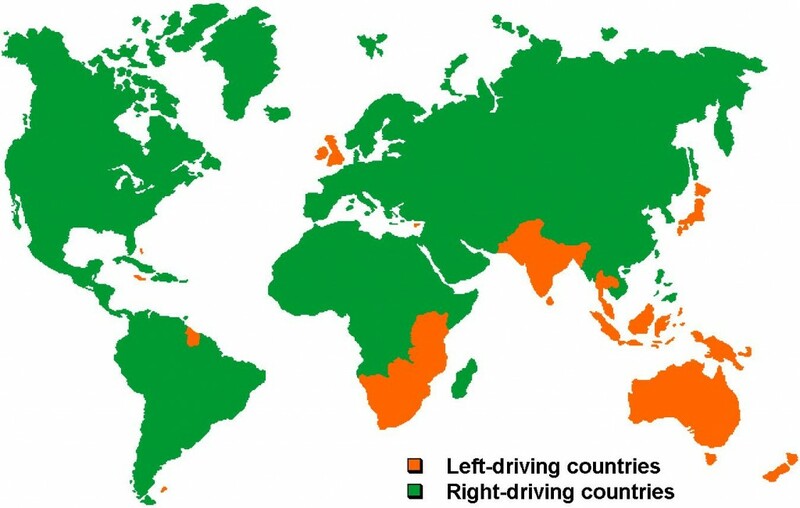 !This reminds me my early days in mid eighties in Qatar. 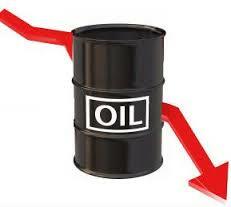 The British who have been ruling the country till 1971 put themselves advantageously placed in the official hierarchy in the Govt services before they left the scene.During late eighties and early nineties, without prejudice, I remember a lot of British who were under qualified or hardly qualified posing as engineers and managers working in oil,construction and other industries!But later that trend stopped as the professional inflow from other countries increased. 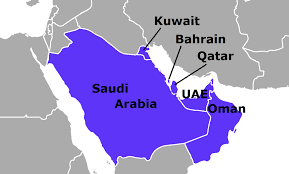 A lot of genuine British professionals and qualified consultants started coming to the country by the turn of the century when the large development projects started taking place.The British export managers or CEOs who were on short business visits to Qatar were always professionals all along,I remember. Letters of Indian soldiers were censored in spite most of them were illiterate or half literate.As such no memories or war memories are written by them and recorded. It is only hardly three weeks since hurricane Matthew devastated Haiti,the Caribbean country.Matthew vented out his fury at Florida,North Carolina and few other places in US as well before he faded out. Matthew whipped up strong winds with a speed of 177 km per hour for 7 days in a poor,ill equipped country as Haiti which culminated in over 1000 dead while tens of thousands lost their homes and properties.Many died due to epidemic of cholera which followed!Even now the malnourished country is not back to what it was as one can see the 'stampedes' of locals for getting food and other help from UN marked trucks.Matthew was equally furious on US in places like Florida and North Carolina but the country was better equipped to withstand such calamities.In spite of this 20 died while thousands lost their homes forcing them to shift to schools etc. I am sure that most of us do not know the difference of these terms.Amazingly there are no differences since different names are being used for the storms in different places of the world.In the Indian Ocean and South Pacific we use cyclone while in Northwest Pacific it is known as Typhoon.In Atlantic and North East Pacific it is hurricanes. All of us know about Richter scale for measuring earth quakes but many may not be aware of Saffir-Simpson scale for measuring the intensity of a storm since the later is introduced to the scientific world only in 1971.As per this scale each storm is classified in 1-5 categories, category 5 being the most intense.Infamous Camille(1969) and Katrina(2005) were in the category 5!I think Matthew was 4. Why a hurricane is named? In olden times a storm was named after regional mythological creatures or saints.The official practice of naming a storm started only in 1945 in the west Pacific region at first which was gradually extended all over the world by 2004 or so.Concerned scientists and authorities thought it is easier to say Hurricane Matthew or any other name than remembering the storm by a number or its longitude and latitude.A name is easier to be tracked or to be used in a communication it seems. Who names a hurricane? And why only female gender? It is World Meteorological Organization (WMO) that prepares a pre determined list of storm names.It varies from region to region as proposed by various countries. A list of names thus approved by WMO is used by rotation every 6 years.For example what we use now in 2016 was earlier used in 2010 and will be used again in 2022!But WMO will not use again name of an infamous,devastating storm -hurricane,typhoon or cyclone whatever.Thus you will not hear once again a Katrina or Matthew for obvious reasons. 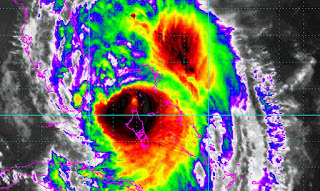 The notion that devastating hurricanes have only female names is wrong-at least for the storms arising from Atlantic regions.In order to avoid a gender discrimination,in this region as per WMO 50% of storms have female names while the other 50% have male names,Matthew included.These names are being used alphabetically and alternatively.Thus if a 'female' hurricane is more ravaging it is by sheer coincidence! In this matter Indian stand seems to be more secular or non biased on genders.India uses only names after abstract bodies like Vayu,Agni,Akash,Jal etc. (meaning wind,fire,sky,water..in Hindi or Sanskrit) for stroms. Interestingly Pakistan preferably uses Muslim female names such as Fanoos,Nargis,Laila,Nilofar.....for the storms arising from their region! Cure is better if cannot be prevented! Matthew could not harm US the way he has done with Haiti only because US was much better prepared to face such calamities.When it comes to disasters related to natural calamities,Japan comes to my mind first.20% of Earth quakes of the world Japan accounts for while over 2000 tremors occur there in a year which are above 1.0 in the scale!It has 40 active volcanoes,10% of the total in the world.It has to face innumerable tsunamis.Yet Japan remains as one of the most developed countries with a high standard of living.Even they could make a live volcano like Mount Fuji an international tourist spot! !It is done by a grandeur vision and sheer commitment by the Govt and the people. 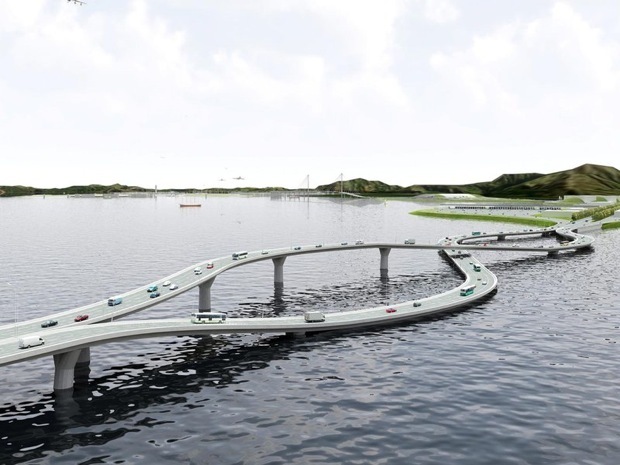 Learning from the past,Jap Govt has enforced strict measures to make the buildings,roads and bridges more resistant to earthquakes-even to safety levels which can face quakes of intensity of 6.0 or 7.0 in prone areas of the country! !Every house hold is encouraged to keep a survival kit consisting of sufficient food and water for days,a torch,first aid kit....Regular mock drills are arranged and practiced.Children from young age are taught how to keep cool and face the situation.Understandably Japan has learned how to survive better over the years, keeping the deaths and material loss possibly lowest in the world in similar circumstances. 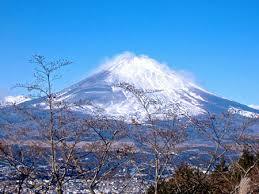 During our visit to Japan last August, it was around 8.00 PM local time one day at Tokyo. We had just returned to our room in 22nd floor of the hotel after a day's sight seeing.I felt like a slip below my feet twice-a sign for a tremor which was conveyed to my wife Geetha. She didn't give much attention since she thought I am 'imagining' things as getting older.I looked out of the window down and everything was in order either-cars were plying as usual in the brightly lit roads and pedestrians were walking!I was about to believe that I was 'imagining' myself when Anu, our daughter in law gave my wife a message thru whats app from India-"Are you both alright?Heard that Tokyo was hit by an earthquake! 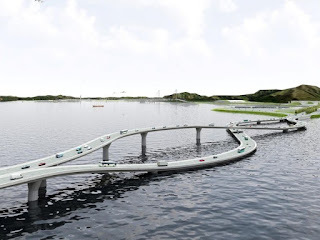 ".She was passing an internet flash news noticed by her cousin which was promptly conveyed to her since he knew that we were in Japan on holidays.Soon we could also confirm from internet that what she had conveyed was right. What I felt myself was after shocks of an earth quake of magnitude 5.0 with epicenter 65 km off Tokyo city!Everything remained in order! CRANE IS NOT JUST ANOTHER BIRD ! Sasaki was a professional barber in Japan.He had a barbershop set up in Hiroshima.A cute baby girl was born to Sasakis on 7 Jan 1943.They named her Sadako. None of us would have remembered this date or name but for the events which followed. That was the time world war II was on. 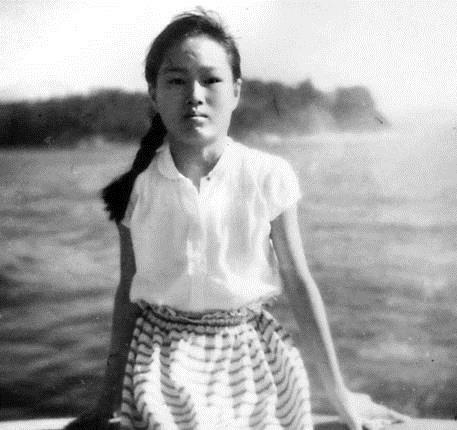 Few months after Sadako was born, her father was drafted for military assignment which was not unusual for a Jap during that time.He was trained and posted as a junior medic who attended the sick and injured soldiers in the Army hospital at Hiroshima. 6 August 1945, 08.15 AM. The first ever atomic bomb was detonated over the sky of Hiroshima. Little Sadako,her mother and grand mother were having breakfast at that time. Sasaki was away on duty. Their house was destroyed in the thundery flash which followed while they were thrown out along with hundreds of others in more or less similar situation.Her grand mother went back to the charred house to take something or for some reason but never returned.Somebody put little Sadako and her mother in a rescue boat.It began to rain.The rain left black spots on the clothes of Sadako...but they survived. Why the Americans wanted to detonate an atomic bomb over Japan and why at Hiroshima? Some of my readers might have read this since it is no more a military or political secret.I too have some years back.When I was spending my time around the parks,well preserved monuments and museum recently, those thoughts were haunting me silently at Hiroshima. By May 1945 Germany had surrendered.Since then the tide of war had turned undoubtedly in favor of Allied forces.Still US wanted to use the A bomb against Japan!What I could learn from historical records is that it was a decision which was made by US as back as September 1944.A successful test was hurriedly carried out in the deserts of New Mexico just 3 weeks before the weapon was actually used on Hiroshima!After all everyone knows how and why US was brought into the second world war! The US probably wanted to use and see the effectiveness of the new weapon developed.Or they wanted a speedy surrender of Japs in order to minimize their own causalities. Or US might have been eager to finish off before USSR came to the scene to partner spoils of war as happened in Germany. Hiroshima had the highest concentration of military camps,facilities and factories in Japan.Till that fateful day Hiroshima city never had been bombed unlike all other cities in Japan.While weather conditions also favored to target Hiroshima, it would be more easy for US to ascertain the damages caused! Few years passed.In November 1954 she developed swellings on her neck and behind ears followed by purple spots on her legs.She was diagonized for Leukemia due to radiation from atomic bomb blast and hospitalized. While in the hospital one of her friends named Chizuko told her something that gave her hope. In fact it is a Jap tradition.If she can create thousand cranes out of paper she will be granted one wish. Sadoko's wish was to have a world without nuclear weapons. 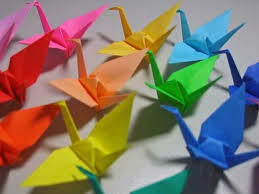 Sadako started folding cranes one by one in spite she was suffering from acute pain.She could not continue for long. By the time she folded 644 cranes, on 25 Oct 1955 while the immediate family members standing by her bed she left this world peacefully.She was 12 then. Her classmates decided to form a 'paper crane club' to honor her.Very soon word spread out.Students of 3100 schools from Japan and few foreign countries donated money to build a monument for Sadako. 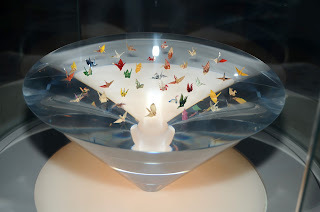 In 1958 Children's Peace Monument was erected to commemorate Sadako Sasaki right in the Peace memorial park,Hiroshima very close to ground zero!To this day from all over the world paper cranes are sent to Sadako which the authorities ensure to be hanged around the monument!! Some of the paper cranes made by Sadako which is kept in the Peace museum,Hiroshima. During the visit of Indian Prime Minister to US in last May,American authorities ceremoniously returned over 200 number of idols and sculptures taken out from India over the last many centuries.Those artifacts, mostly stolen by foreigners, were from temples of states of Rajastan, Bihar and W.Bengal. It is valued over 100 million USD but in reality as far as India is concerned these are priceless!Albeit the well publicized news apparently came as a surprise to public, it is the result of hectic,warm and streamlined diplomatic efforts of both countries for quite some time. For India this is a euphoric moment thanks to US. I dont think Indian efforts to get back such idols and precious gem stones taken out of the country before Independence have been fruitful to this level so far.More than anything else it brings up confidence of an emerging India- from exploitation of the past -in current world affairs.Whenever I got the chance to see in person such Indian art works and idols exhibited in the museums at London, Paris and elsewhere, I used to wonder when it will be back to the country of origin- rightful owners! Apart from these there are many diamonds and gem stones taken out but in custody of new owners. Story of Koh-i-noor diamond is well known but there are many others which most of us are not aware. 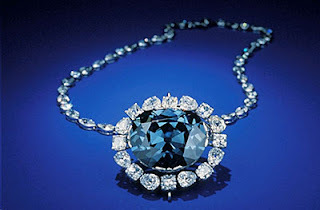 One among this category is the 'Hope' diamond which is currently exhibited in US itself - at Smithsonian Institute, National Museum Of Natural History,Washington. It was during a trip to Hyderabad- precisely to Golconda- six months back that I had come to know more about Indian diamonds. From time immemorial India was the only country in the world where diamonds were mined.Mostly diamonds in India were from Kollur mines in Golconda region than others in the country. In fact Sanskrit word for diamond and thunderbolt is vajra and remains to date important in Hindu culture.After 18th century quarrying for diamonds shifted to other countries in the world.India is the original home- now under others' possession- of some of the most precious diamonds in the world-Koh-i-noor,Orlov,The Regent,Darya-e-noor,Hope.......Even today,India remains world's leading diamond cutting and polishing centre. Trailing the diamond Hope...India to Paris to London to US. Hope is the best blue diamond world has ever produced and believed to have been installed on the forehead of an idol of a Hindu goddess.A French traveler named Jean-Baptise Tavernier 'purchased'it in 1642 as recorded in modern history.As an Indian I can categorically state that Hindus will never sell such precious stones on their idols under any circumstances.They would rather prefer to remain poor than sell these precious stones or gold worth billions which is kept in many temples across India to date.More logical conclusion I can derive on this matter is that Jean must have cleverly succeeded to involve somebody possibly an Indian thief to have this covetous jewel in his custody. This stone was thus introduced to international market of diamonds in the world as French Blue or Tavernier Blue. 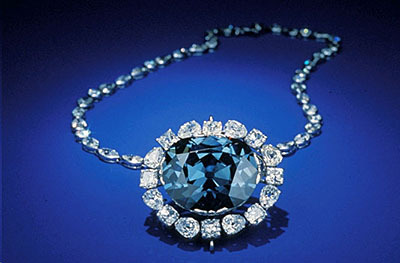 French Blue came to the hands of the King Louis XIV of France who had set it as a pendent.During French revolution when the king Louis XVI and Marie Antoinette were kept in a dungeon, this diamond was stolen.Again it surfaced in London in possession of a diamond merchant.In 1824 it came to the hands of Henry Philip Hope, after which the diamond is known thereafter in the modern world.Hope was displayed in few exhibitions in Europe but later went to the hands of US socialite and heiress Evelyn Welsh Mclean and finally to the possession of a New York diamond merchant Harry Winston. He donated, that too sent by a simple registered envelope by US mail, to Smithsonian Institute in 1958! Almost all the world famous diamonds are shrouded with a lot of myths and Hope is not an exception. It is believed that since it was taken out from the idol, it brings 'bad luck and death' to not only the owners but those who put their hands on this diamond.The plight of King Louis XVI and Marie Antoinette is well known but veracity of others is not clear. In any case Smithsonian Institute thanks it stars to have the possession of this diamond. We cannot put the clock back for sure.Past is past but one has to learn lessons from the past follies and corrective steps to be taken prudently for the present and future.It is natural for mankind to exploit the weak and ignorant. It will continue in one form or the other.Than fighting against it in defensive mode helplessly like India did in the past, I think the best way is to be stronger and offensive as and when required, to protect our interests. Multi millions worth of gems, gold,teak,minerals,metals.... and priceless scientific knowledge, inventions and formulae,manpower to be deployed in estates,projects,wars....for others, were stolen or forcibly taken from India by others from time to time at least in the past 1000 years as Indians watched helplessly!Many Indians to date proudly proclaim that India is one of the few countries in the world which has never conquered territories of others.True but what they don't openly admit is that at the same time Indians allowed so many conquerors to come in- even welcomed some of them- and made them to be our own masters to rule over us! !Let us learn our lessons.Let us put the clock with the right time. Pen is mightier than the sword but at times a picture is mightier than the pen! A picture or an image is worth a thousand words especially photographs which displays the expression and mood of the person or an event.This is why visual communication skills have conquered the modern commercial world wherever it is applicable.It was in 1996 that I could take a decision to have a web portal for Al Balagh, where I had been working.Now one may find this matter very silly but hosting own web was a rarity then plus I was computer illiterate ! It was an expensive affair as well, which a small organisation like mine those days could hardly venture in this direction.But for some reason it did not stop me to take that decision which proved very effective for our eventual growth as a corporate in later years! 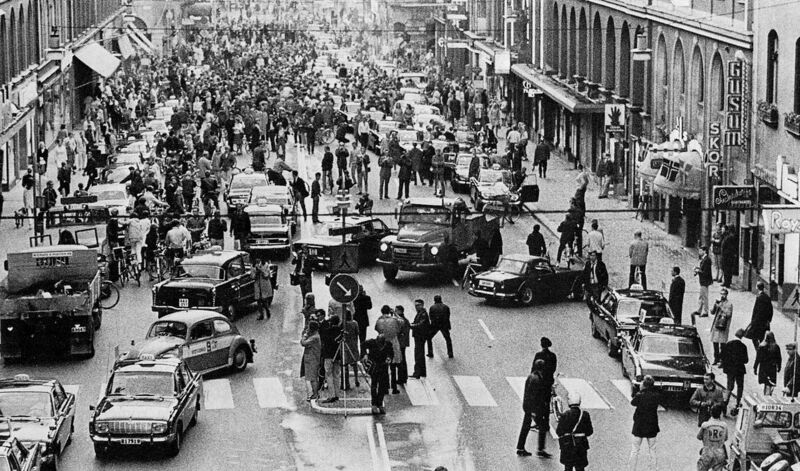 Coming back to pictures,many photographers have made excellent clicks around the world since the camera was invented . But in spite the technology related to photography has been changing fast for good, only few photos will invite our attention. That too among such catchy photos which we come across only very few will register in our minds , others we enjoy and forget.Similarly now a days every commercial firm-big and small- anywhere in the world has a web site but you know very well how many of them really attracts you! First one is clicked in the seventies.His face especially the eyes tells you what he is going through......amazement! 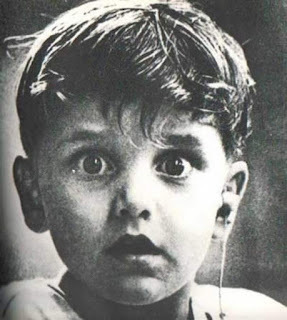 Harold Whittles was a child hailing from Illinois, US.He was born deaf.At the age of 5 he was taken to a specialist ENT doctor who connected a hearing aid to his ears.Yes, that very moment when Harold who had been deaf hears sounds for the first time was caught in a film by a professional photographer! Jack Bradley was a news photographer with Peoria Journal Star,Illinois.The photo was published in Readers Digest in Feb 1974 issue with a title "Unforgettable moments caught on film". The whole world enjoyed that photo which took the photographer to professional glory.Being a news photographer he has made a number of professional photos including related to Korean war.What he says about the photo at the end of his career says it all in one sentence"Looking back at that moment I can tell you that I have never taken a picture as magnificent as that photo of little Harold Whittles before that and I haven't since"
It is difficult to identify this person for any one who is as young as me or younger unless he or she is reasonably well versed in history. 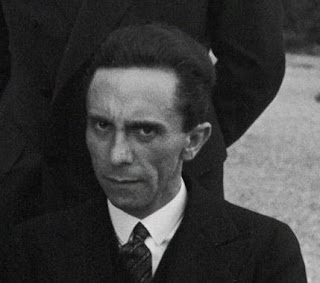 He is Joseph Goebbels who was infamous in the modern world esp during 1930-45.He was the President of Chamber of Culture or more popularly known as Minister of Propaganda for the German Third Reich.Being policy of the Nazi party under Adolf Hitler,he had spearheaded a hatred campaign against Jews. 'Goebbelsian lie or tactic' which we read about a lot these days is derived from his style of functioning-Repeat a lie a thousand times and it becomes the truth! Alfred Eisenstaedt was a photojournalist,born in Germany but later migrated to US fearing persecution of Jews there and worked with Life Magazine.In 1933 Eisenstaedt was assigned to meet and interview Goebbels who had come to League of Nations (Forerunner of UN), New York. When Alfred was introduced to Goebbels, the later showed all the friendly warmth initially.But the moment he came to know that Alfred was a Jew, his face changed to what we can see above.Goebbels made a scowl!But Alfred was a professional who could click that moment which was published in Life Magazine.In fact 90 pictures clicked by Alfred Eisenstaedt are featured on the cover of this magazine. IT WAS DIFFICULT FOR THEM NOT TO LAUGH!! Social or political protest marches have taken place in the modern world umpteen times.There are few marches which the world has not forgotten or likely not to forget which had great impact on the society and people or acted as catalysts of eventual changes in history to follow. Protestant reformation march led by Martin Luther in 1517 in Germany,march of the people and storming of Bastille fort in 1789 which acted as a boost for French Revolution,long march of China of 1934/5 which made ascent of Mao Zedong and communism and march on Washington lead by Martin Luther King in 1963 which culminated in formation of Civil Rights Legislation in US are some which come to my mind now.First and last were peaceful but others were just opposite. History records one more such march but unique in concept and execution.Never before or never later it has a parallel!An uncommon protest march had taken place in India over common salt which had wide impacts in the country's freedom struggle and reverberated in rest of the world in years to follow ! Totally peaceful march with just 78 people did not surprise the British authorities but its aftermath did-Salt march of Gandhi in 1935. Like millions of other Indian children I too have read about it in social studies texts as a part of curriculum without understanding its real implications.Read many times in later life as well. But I started admiring the conceived idea, the way it was organised and Gandhi, the person who masterminded it only after I reached my fifties when I got exposed to the corporate world esp after interacting with hundreds of British business executives, engineers and diplomats.Their system is much organised to this day.This is apart from the fact that as professional individuals Indians can compete with them- or for that matter anyone- now! Why such a march over salt ? By mid 1920s struggle for India's freedom was gaining momentum. Gandhi knew that it was time to shift such a movement to top gear,that too with people's participation.In December 1929 Indian National Congress raised the tricolor flag of India followed by declaration of Self Rule(Purna Swaraj).Congress working Committee entrusted Gandhi to organize the first massive action of civil disobedience through out the country along with his satygrahis- army of truth. To the utter surprise of many even among congress working committee, Gandhi chose to revolt over salt-against salt tax which prevailed then in colonial India since 1882.When it was announced many in public thought it was too silly to link to freedom movement of India!The leading national English daily wrote "It is difficult for us not to laugh"!The British authorities were equally not disturbed .It is recorded that Lord Irwin,Viceroy of India wrote to London "At present the prospect of a salt campaign does not keep me awake at night"! In hindsight I think Gandhi was much cleverer than others when he selected salt.Salt was important in life for any Indian whether he or she is Muslim or Hindu or others.Salt was used by backward or forward classes.It was the same in case of rich, middle class or poor.Salt is still being used in north, east,west or south.After air to breathe and water to drink, only salt was truly Indian at those times of many kingdoms and British states!! Gandhi proclaimed that taxing salt by Britsh is denying fundamental human right! 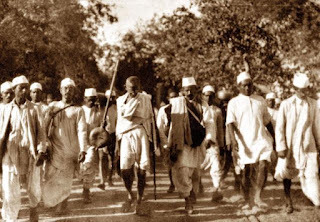 Gandhi was 61 when he decided to walk 240 miles from his ashram at Ahmadabad to Dandi with his followers,mostly unknown Indians aged around 20 years from lower strata of the society from various parts of the country. Sardar Patel made the planning in detail and visited the villages en route and made preparations silently prior to Gandhi's march which was commenced on 12 March 1930 when about 100000 people gathered at the starting point.British press gave hardly any importance but Americans did. Through out the route which was covered in 24 days,Gandhi addressed a number of public meetings.He urged the people to boycott British made clothes and use home spun cotton cloth instead.British used to take cotton from India at cheap rates to Manchester and make textiles.The same was resold to Indians at exorbitant rates!From hardly few hundreds of people who wanted to listen to Gandhi, by the time he reached Dandi, it was tens of thousands of Indians-all ordinary citizen- who joined the 'pied piper'.On 5 April he broke the draconian law by making salt from sea. Whole India reverberated by his act and followed Gandhi to break law, in coastal towns and villages!! Soon it broke out in the whole country involved by millions in civil disobedience by satyagraha or effectively a strike for many days led by leaders like Sarojini Naidu, Nehru, Maulana Azad..... but peacefully which paralyzed the country and British administration. Aftermath of salt march....Gandhi had the last laugh! It caught attention of the world and invited sympathy and support towards the plight of Indians in their own country.Astounding success of the march boosted confidence among Indians which kick started massive non violent disobedience movement in years to follow led by Gandhi until India gained independence.It was a sort of 'dress rehearsal' of a series of satyagrahas to follow! Gandhi was released from the prison in Jan 1931.He was invited to meet Lord Irwin who finally 'lost his sleep'.Subsequently Gandhi called off satyagraha in exchange for an equal negotiating role at a London conference on India's future. I always thought Gandhi was politically very shrewd as one can see how he had masterminded and delivered the salt march. But at the same time he had been apostolic in nature who loved peace and tranquility in the world. Due to his call for boycott of British made textiles in India for years, export from UK dwindled and many textile mills were forced to close. Naturally life of workers in those mills were affected and poverty was in their door steps. Gandhi took time and unusual courage to go to Lancashire and meet the owners and workers of those mills in 1931, while he was in London for the round table conference. He was sympathetic for their woes but educated them on India's nationalistic movement.I do not know how much he could convince them but what I can see from records is that he could at least command love and respects from them!! 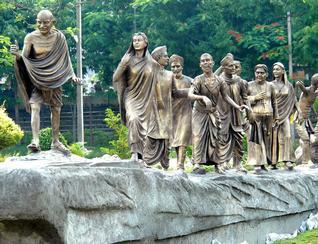 Mauritius has chosen 12 March as its independence day to commemorate the salt march of Gandhi! Now everyone knows that New Delhi,capital of India is one of the most polluted cities of the world. At last people and Govt have come to senses and started making some drastic but bold steps to contain the problem starting from reduction and control of traffic in the city.Automobiles can be driven only on alternate days of the week depending on the odd-even registration number of your vehicle..Now that people have come to action and cooperated in this matter positively for the stipulated period, as years go I am sure that the city will be a better place to live in.There is no other way out! The subject also took me tangentially to one of the famous land marks of the same city and of the country- the iron pillar which has been standing loud and clear for centuries, which I could visit few months back.How come this pillar made of iron withstood the brunt of extremes of weather and atmospheric pollution all these years?At a time when most of the European nations were in the grip of a looming dark age, how come this unique Indian metallurgical skill in black smithy could exist since 4th century ?Surprisingly such iron pillars exist in another places in India as well! Ancient India always stood ahead of the rest of the contemporary world in many fields of scientific innovations. That is the bright side.Due to class system prevailing in the society during the same period all these knowledge was restricted to a minuscule class of the Indian society and was never shared with any one other than this class in India until mid 19th century or so, forget about the rest of the world. That is the dark side. 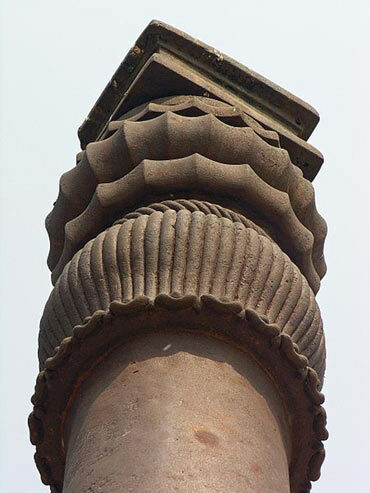 It is a wonder that this pillar made of iron stand clear of any rust for the last 1600 years!The current location is in the famed Qutab Minar complex.The pillar is identified with King Chandra Gupta II who reigned in 402CE. The 7 meter high pillar with a bulb shaped base and ornate bell patterned capital has an inscription in Sanskrit mentioning that it was erected as a flagstaff in honour of Hindu God Vishnu.Originally erected in Madhya Pradesh in India, far from Delhi was brought to the current location by 1233.It could weigh over 6 Tons.For a long time the pillar was believed to be made of brass or any other alloy but in 1876 after detailed studies it was confirmed to be made of pure iron. The bell capital of the pillar at the top end consists of 7 distinct parts as one can see in the photo below.Each part could be representing many factors which are still not known,I think. 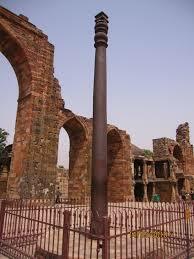 Ibn Battuta(1304-1377)the famous explorer traveler has made a specific mention about this iron pillar as a wonder in his travelogue. The pillar is made of 98% wrought iron.The high content of Phosphorus- as much as 1%-against less than 0.05% as made today in such cases- and absence of Sulphur and Magnesium in the composition of the iron used in making the pillar is the reason behind its 'rustless' nature.The wonder is that the makers knew this technology 1600 years back! I am sure that most of fellow Indians may not be aware that similar pillars of iron which withstood test of time exist in another two places in India. One at Dhar,Madhya Pradesh is bigger but in broken condition due to attack of invading armies, now preserved as such.Unlike one at Delhi, there are no inscriptions on the pillar but believed to be erected in the 11th century by Raja Bhoj. Another iron pillar which is incredibly rust free is erected in front of Moola Mookambika temple which is located near Kollur,Kodachadri hill,Karnataka.The place is difficult to reach even these days and as such much historic details it seems are not known.